Looking for a nice, shiny engine vent cover to add that touch of class and pizzazz to your boat? Great Lakes Skipper has Livorsi engine vents in a range of bright colors, all at great discount prices. We also have many different boat engine vent covers, boat blowers, marine ventilators, boat vent hoses, marine ventilation in-line blowers, and more boat ventilation parts and accessories from manufacturers like Perko, Sea Dog, Jabsco, Dive N Dog, and Attwood. 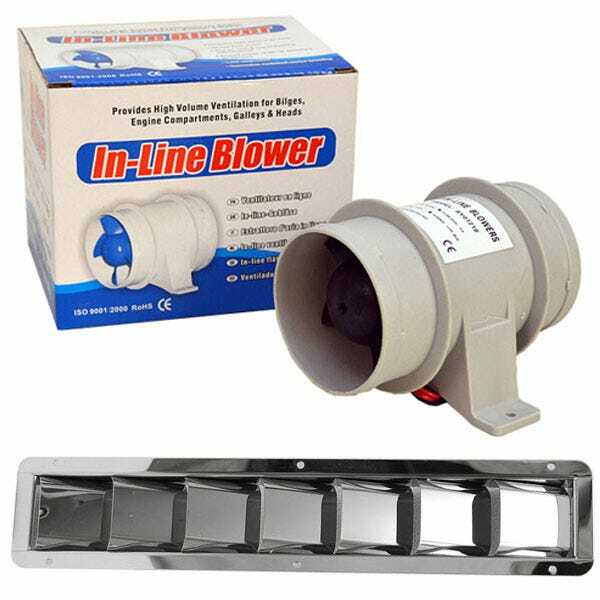 For great discounts on quality boat vents and marine blowers, shop Great Lakes Skipper.